Kerala Chief Minister Oommen Chandy asserted on Friday that the Congress will retain power in assembly elections next month.Speaking after filing his nomination papers from Puthupally constituency in Kottayam district, he said he was confident the Congress will create history by returning to power.Normally, voters in Kerala elect a new government in every election. "The Congress-led UDF (United Democratic Front) will return to power. 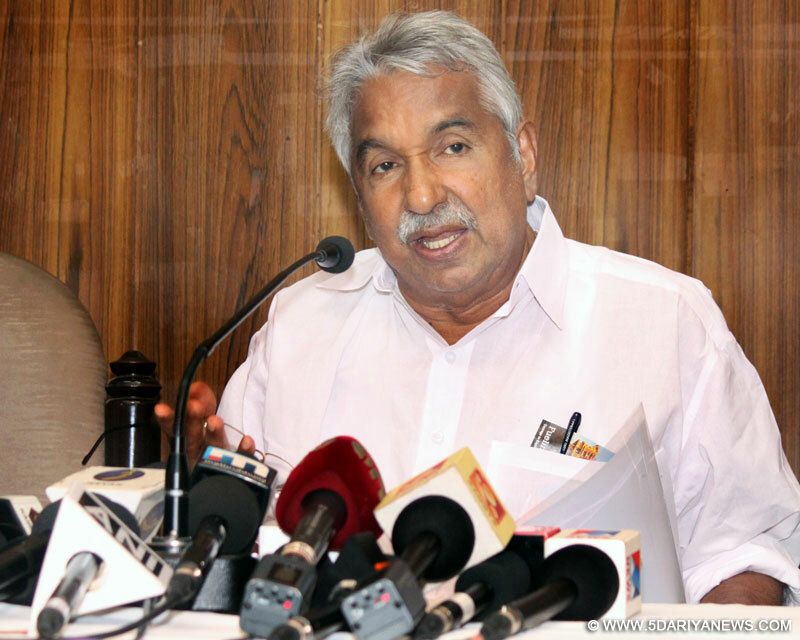 People will give us one more chance," Chandy told reporters.Chandy, 72, is seeking a record 11th straight win from his home turf Puthupally, from where he has not lost since his first victory in 1970.Chandy asked former chief minister V.S. Achuthanandan to stop levelling "baseless allegations" against him (Chandy) and his cabinet ministers.The chief minister has filed a Rs.1 lakh defamation suit against Achuthanandan.